What is a page about swine flu prevention doing on an antioxidant website? Well, as you'll soon find out, antioxidants can play an important role in H1N1 prevention. But really, as a pharmacist, I've been inundated with questions lately about what people can do to prevent the swine flu that is raging through communities right now. So I'm really creating this page as more of a "public service announcement". The reason for all the confusion is that there is so much conflicting information being passed around, how do you know what to believe? I have spent the last several days researching so I could have an informed opinion. Let me tell you, it has been difficult to find reliable sources of information on swine flu prevention- most of the information out there is either opinion and/or media hype. The purpose of this page is to give you the facts so you can make your own informed decision on how best to prevent swine flu. H1N1 is an influenza A virus that is a mutation of a virus that commonly affects pigs. Hence, the name swine flu. There have been 3 pandemics involving a strain of the influenza A virus in the last 100 years: the Spanish flu (1918), the Asian flu (1956-58), and the Hong Kong flu (1968-69). 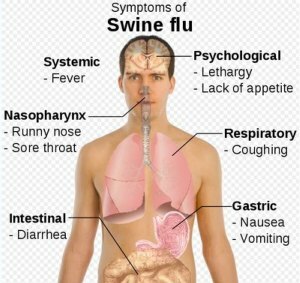 This is the suspected reason why those over age 50 seem to be less likely to catch this swine flu- the virus they were exposed to is similar enough to H1N1 that the antibodies are attacking the new virus also. Unfortunately, being over 50 doesn't guarantee you have the immunity for swine flu prevention- you may not have been exposed at that time. At the time of writing this (October 2009), there have been over 564,000 confirmed cases of H1N1 worldwide and 6400 deaths. Remember that the actual number of cases is much much higher, because most people are not being tested. The estimate is that 25% of the population will likely get swine flu at some point. For comparison, the "regular" seasonal influenza infects up to 1 billion people worldwide and causes about 500,000 deaths annually. My opinion: I am puzzled by the panic that the swine flu has caused over the last several months. Compared to the deaths that the "normal" influenza causes every year, H1N1 has been a drop in the bucket. I agree that we are well overdue for a pandemic and taking precautions to prevent it are smart. I think the big scare for everyone has been the media emphasis on seemingly young, healthy individuals that have died from the swine flu. While this is unusual and alarming, what they don't report is that the majority of deaths have occurred in those with underlying health problems, just like "normal" flu. There is definitely reason for concern and precautions to be taken, but the paranoia that seems to be rampant is based on media hype. You need prompt medical attention if you have difficulty breathing, chest pain, sudden dizziness or confusion, a high fever lasting more than 3 days or if you appear to be getting better and then have a relapse. While everyone is equally likely to catch the swine flu, complications and/or death have mostly been in those with underlying health conditions. Those at higher risk include people with asthma or other lung disease, heart disease, diabetes, kidney or liver disease, obesity, neurological disorders, and immunosuppressed people (either due to medication or HIV). Pregnant women and children under 5 years old also seem to be at higher risk of complications. Complications are usually the result of damage to the lungs by the H1N1 virus. The damage can also cause a secondary bacterial infection, which leads to pneumonia. That was the main cause of death in the Spanish flu epidemic because of the lack of antibiotics at that time to treat it. They contain inactivated virus. There is absolutely no danger of actually getting swine flu from the vaccine. The viruses are incubated in eggs, so if you have a serious egg allergy, you should not get the vaccine. All the swine flu vaccine brands I have researched have the preservative Thimerosal in them. The controversy regarding thimerosal: There were suspicions that the mercury in thimerosal was causing autism in children. As a precaution, thimerosal was removed from childhood vaccines 10 years ago until safety could be confirmed. Science has pretty much ruled out any relation between thimerosal and autism, but the old fears are still rampant. Whether or not it causes autism or not, the fact remains that thimerosal is 50% mercury and mercury is a toxic substance. My opinion: Exposure to mercury in a vaccine isn't that big of a deal, especially for an adult. There is so much mercury in the environment already that we're exposed to a significant amount in everyday life. My question is why did they use thimerosal? Why didn't they use another preservative instead? There really is no "safe" level of mercury- it causes toxic effects at any level, so why increase our exposure to it? The younger the child, the more concerned I would be about injecting them with mercury. Everyone has squalene in their body. It is an important part of the making of cholesterol, hormones and vitamin D.
Gulf War Syndrome has affected some who weren't even deployed to the Gulf but DID get the vaccine. There is no conclusive evidence one way or the other whether squalene adjuvants were the cause of Gulf War Syndrome or if they may lead to autoimmune disorders. 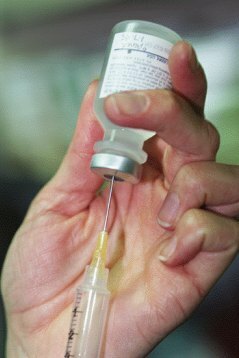 A seasonal flu vaccine containing a squalene adjuvant has been used since 1997 in several European countries. There have been no serious side effects reported after 29,000 doses. My opinion: Squalene has not been an approved adjuvant in most countries because of the inconclusive evidence of long-term side effects (like Gulf War Syndrome and autoimmune disorders). As far as I can tell, the "no serious side effects reported after 29,000 doses" doesn't take into consideration any long-term side effects- it only looks at effects that happen within a few months. Autoimmune diseases take many years to develop and studies do not follow people for that long. I would be curious to know if there has been an increase in autoimmune disorders in the last few years in those European countries using the squalene adjuvant- information I couldn't find. Knowing how autoimmune diseases develop, I think it's a very real possibility that being injected with squalene could trigger an autoimmune response in a susceptible person. Obviously they needed to fast track the approval for this vaccine, since it is needed right now, not 5-10 years from now which is usually the time needed for proper testing. That being the case, they should have developed it using current technology that has years of safety to back it up. My personal opinion is that I would err on the side of caution when it comes to getting the vaccine for swine flu prevention. You need to decide whether the risk of getting H1N1 and having serious consequences is greater than the risk of possibly getting an autoimmune disease in a few years. Myself and my children are not in the high risk group of complications from swine flu, so we will not be getting the H1N1 prevention vaccine at this time. If you are in the high risk group it is a much harder decision. Your overall health should be a factor in your decision to get the vaccine for swine flu prevention. That being said, if you are in a country that uses an unadjuvanted vaccine, I would absolutely get it. The risks of an unadjuvanted vaccine are minimal compared to the possible effects of H1N1 infection. To be clear, I am NOT an anti-vaccine person. On the contrary, I believe all children should receive their vaccinations. As you can tell from the rest of my website, I am very big on preventing disease rather than trying to treat it after. What I find irritating is that, at least where I live in Canada, the insinuation is that vaccine is the only way to prevent H1N1 infection. That is complete baloney. 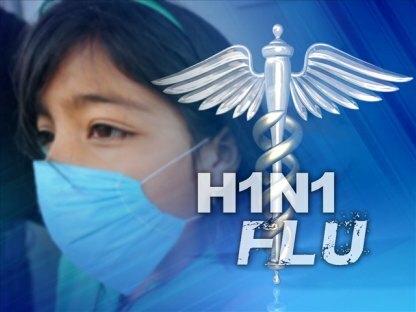 It is almost impossible that you will not be exposed to the H1N1 virus this season. There are, however, many other things you can do to prevent swine flu from actually taking over your body. And this is where antioxidants come into play in swine flu prevention. It's possible to increase your overall immunity naturally, rather than relying on vaccines. If you have an optimally functioning immune system, your body is able to fight off the virus before it takes hold and becomes an actual infection. If you have not already read the page on boosting your immune system, go there and see how antioxidants can help your immune system in swine flu prevention. Even more important though is to get my special report I created a while ago called the "Top 6 Things You Can Do For Cold Prevention". Since the swine flu virus is transmitted the same way as the cold virus, the report is equally relevant to prevent swine flu. It's a compilation based on science and years of pharmacy experience in what actually works (and what doesn't). Then follow each step. Together, they give you the best chance at swine flu prevention. Of course, the added bonus is that they will help you avoid ALL infections. One other tip I will add here that is not in the report, but seems to be helpful in swine flu prevention is to gargle at least twice a day with warm salt water (or some other antibacterial mouthwash). The virus sits in your mucous membranes for a while before it starts moving into the rest of your body, so gargling could kill it before it spreads. With the possible serious consequences of H1N1, you can't afford to be without the important information in the report for swine flu prevention. That is why I dedicated an entire page to this disease. With all the questions I'm getting, it's clear this information needs to get out there.